Experience the beauty of Inchydoney Beach on Ireland’s Wild Atlantic – Get Away – Eat. Stay. Play. Inchydoney Beach is located a few kilometres from the town of Clonakilty and is accessible by car. 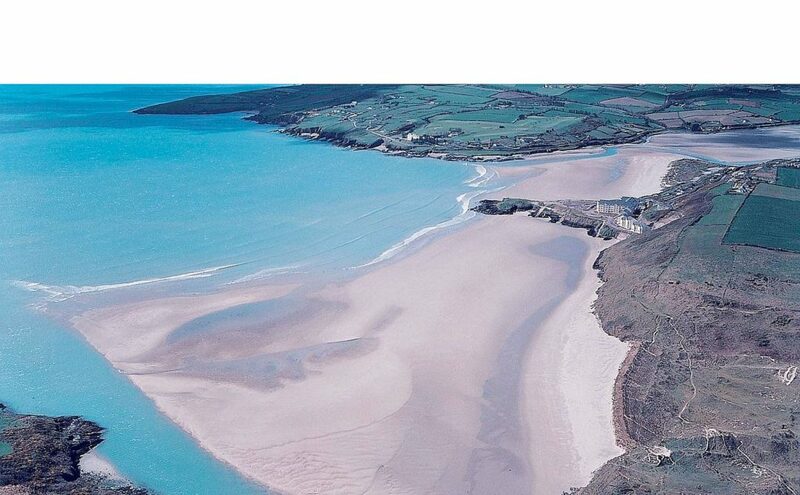 It is backed by dunes and overlooked by Inchydoney Island Lodge and Spa. There is a public car park and toilet facilities adjacent to the beach. The beach has excellent surfing conditions for beginners and there is a surf school at the beach, providing board and wetsuit hire as well as lessons. Inchydoney Beach near Clonakilty is well known and has Blue Flag status. It is famous for surfing, kiteboarding, windsurfing and swimming. The beach is life guarded during the bathing season and more information can be found on the notice board located at the beach. The beach has received the International Blue Flag award for 2018.